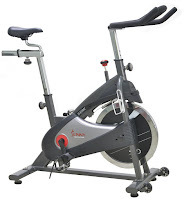 The Sunny Health & Fitness SF-B1509C and SF-B1509 Premium Indoor Cycles are impressive low-priced spin bikes that simulate the feel of true road bike cycling in the comfort and safety of your own home. The main difference between the Sunny Health & Fitness SF-B1509C and SF-B1509 comes down to the drive system that each of these spin bikes uses, with the SF-B1509C utilizing a chain-drive system while the SF-B1509 utilizes a belt-drive system. There’s also a slight difference in the overall user weight capacity of each of these indoor cycles, with the Sunny Health & Fitness SF-B1509C allowing for a slightly heavier maximum user weight at 300 lbs compared to the SF-B1509’s 265 lbs. 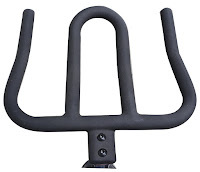 Apart from the above mentioned differences in features and the notable difference in color, these 2 indoor cycling bikes offer the same impressive features. Both the Sunny Health & Fitness SF-B1509C and SF-B1509 feature a 40 lb chromed solid flywheel, micro-adjustable resistance and press-down braking system that puts you in control. 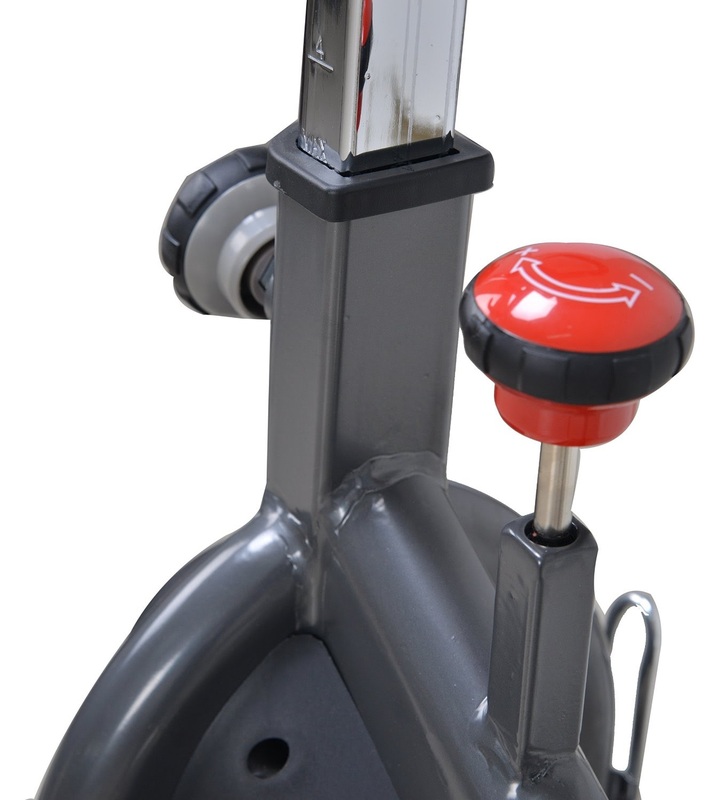 The resistance is easy to adjust via the simple-to-use tension turn-knob. Both the Sunny Health & Fitness SF-B1509C and SF-B1509 spin bikes are fully adjustable for different rider heights. 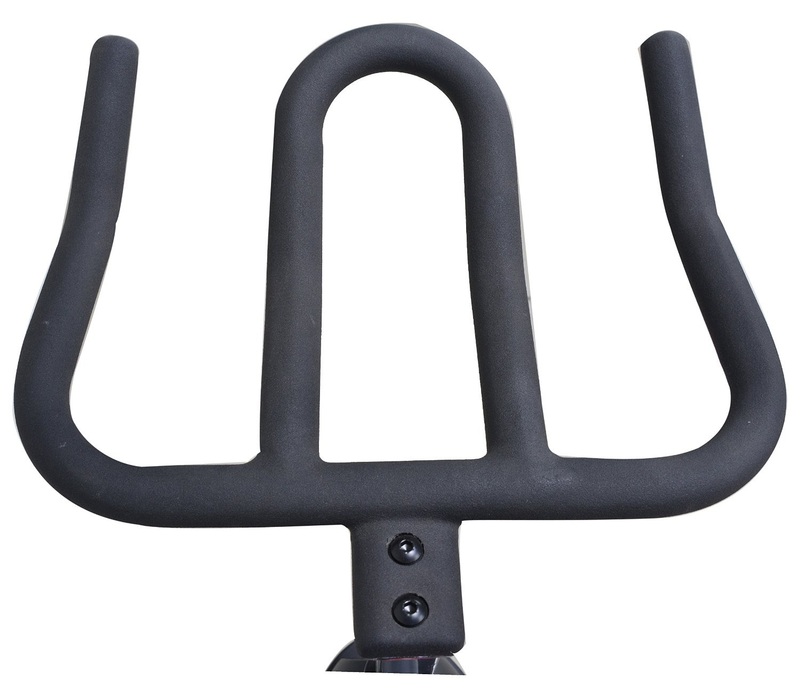 The handlebars adjust up/down, and the seat adjusts both up/down and fore/aft for a custom fit. Adjustability is easy with quick-twist knobs, making these bikes easy to share between multiple users. The Sunny Health & Fitness SF-B1509C and SF-B1509 indoor cycling bikes are solidly constructed with a heavy-duty steel frame and heavy-duty steel crank for long-lasting durability. 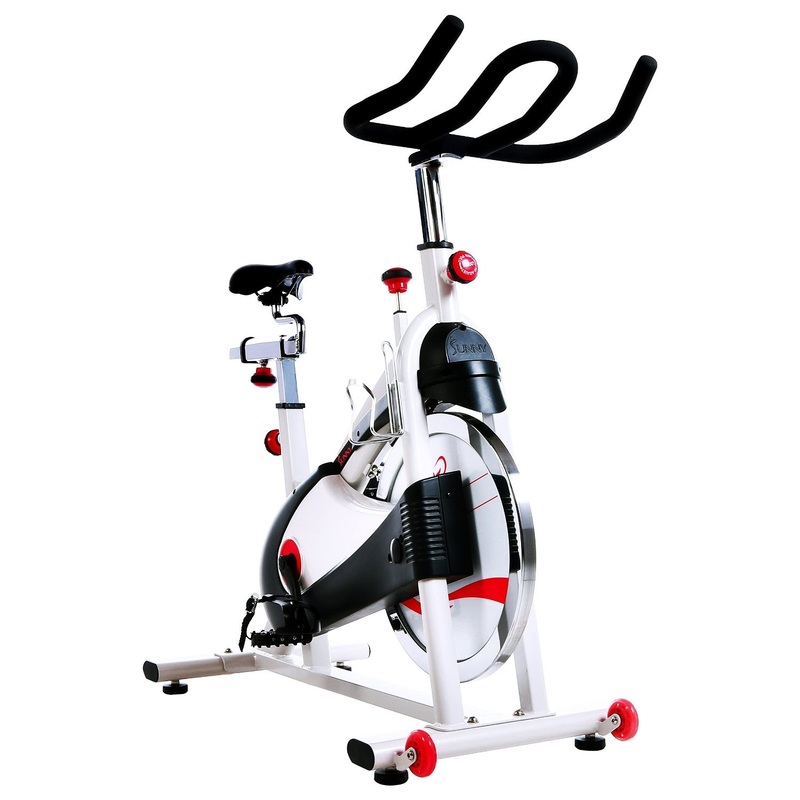 Both spin bikes also feature dual-function SPD/Cage pedals, front and rear stabilizers, front-mounted transportation wheels, and a side-mounted water bottle holder. Fitness tip: Cycling for just 30 minutes could burn approx. between 207-345 calories for women, or 252-420 calories for men, depending on the intensity of the cycling. The Sunny Health & Fitness SF-B1509C and SF-B1509 indoor cycling bikes are ideal for the more serious cyclist who wants to train indoors. 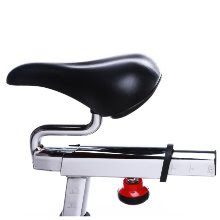 There are no fancy workout programs like you would get with a typical upright exercise bike – spin bikes work differently and are designed to mimic the feel of true road-bike cycling – you can sit or stand to simulate hill riding, adjust the tension and use the push-down brake. The heavy-weight 40 lb flywheel on both these spin bikes allows for smooth and consistent momentum and is a bonus on indoor cycles at these low price points. The only thing you need to decide on between these 2 Sunny Health & Fitness indoor cycles is whether to choose the chain-drive or belt-drive spin bike. This usually comes down to a matter of personal preference – some people prefer the SF-B1509C for its chain drive system as they feel it gives a more authentic road-bike feel, while others prefer the SF-B1509 for its belt-drive system that operates more quietly and requires less maintenance. Prices/discounts indicated are correct at the time this article was written/published. E&OE.